Paradise Air Inc is proud to serve the Parker community! About Parker, TX - Happy to be your hometown Heating & Air Conditioning Contractor! Parker is a Collin County, Texas city with a population of only about 4,000 residents. This community only takes up about 5.2 square miles of total area, all of which consists of land. Students are primarily served by the Plano Independent School District, and notable residents have included Olympic gold medalist Nastia Liukin and Texas Instruments CEO Rich Templeton. This city is part of a humid subtropical climate zone with hot summers that typically reach the mid-90s. Winters are mild with temperatures in the low-50s. Parker is home to several notable attractions that may be of interest to residents and visitors alike. 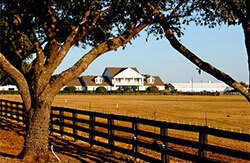 The Cross Creek Ranch is a great location to host a wedding ceremony or other special event. Visitors and residents who consider themselves to be equestrians may like to visit Treeline Stables, as this venue is home to several horse shows throughout the year. Other major attractions are located in the nearby city of Allen, including the Allen Event Center and Blue Sky Sports Center.